Have you ever maxed out your digital camera's memory card midway through a vacation? 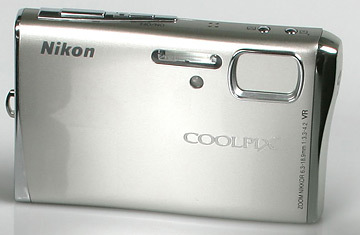 The 8-megapixel Nikon Coolpix S51c point-and-shoot is tricked out with built-in wireless capability, so you can email your images or beam them directly from the camera to your Flickr account or to Nikon's own online photo bank. It's also got a 3x zoom and a roomy 3-in. LCD screen and it comes in black.